What I found to be the most important ingredient to a great online appearance is to create amazing content for your followers. In order to do so, Buffer comes in very handy. You can drop tweets into your Buffer with just one click and the app posts it for you at optimal times over the day. This allows me to spend a few minutes each morning on finding great posts and throwing them into my Buffer. The app will take care of the rest. In recent research this has shown to increase clicks and retweets about 200%. Best bit: With every tweet Buffered you will know exactly how many people have clicked, retweeted, and how much reach it has gotten. The lifetime of a tweet is traditionally very short and bit.ly recently confirmed that it lasts only for about 2.8 hours. Yet, putting all that content to waste after only a few hours isn’t very efficient I feel. This is where Twylah comes in. The app turns all tweets you have ever posted into a beautifully branded landing page, displaying all your past tweets in categories and rich media display. It is a great way to help others understand what you are tweeting about and make use of your content. Best bit: A great feature from Twylah is a function called “Power Tweet,” which allows you to send tweets that reach up to 4 times more engagement, as relevant content is grouped around it. This is an app that I have gradually started to use more as I wanted to clip tweets and thoughts together. Oftentimes you might have a quick inspiration for a piece of content, yet, writing a full post about it is sometimes difficult. With Storify, you can quickly clip tweets, videos and pictures together and turn them into a post themselves. You can then embed it on your blog or on your Storify page and distribute it as normal content across the web. Best bit: What I like most is that you can add clippings from a great variety of sources including Flickr, Youtube, and other blog posts. One of my recent favorite apps is called StrawberryJ.am. The app is a fantastic way to stay on top of the latest news from your stream without wasting too much time. StrawberryJ.am automatically shows you the most mentioned tweets from your network and orders it by number of mentions. This also helps me a great deal to stay in touch with a wider network, as I can immediately see, who is interested in the same things as me. On top of all this you can even “Jam” searches, Twitter lists, and hashtags to learn more about topics outside your network. Best bit: A feature I also appreciate very much is the change to have a daily summary being emailed to me, so I can have the best news right in my inbox. This is a tool I have been waiting for a long time. It allows you to drop any URL in and get a great analysis around how it was spread around on Twitter. You will learn about the number of retweets, when they happened, and who the top people were retweeting it. I like to use this app mostly to see how my own blogposts have performed and learn who the most influential people are that are spreading the word about the post. It is also a great way to see, at which times most retweets happen so you can improve your timing. Best bit: What I like best about this app is that it provides you with a link to thank your top retweeters. This is a great way to strike up new conversations with important people. Ever since Twitter introduced their list feature, I found it to be quite cumbersome to put people into various lists to help growing my Twitter following. Here is where Formulists is incredibly useful. The app allows you to create lists automatically if certain things happen. This can mean that upon someone following, retweeting or mentioning you, they are automatically put into the corresponding list you have setup for them. I found this to be a great way to vet my followers more efficiently and stay in touch with a wider network at any given time. Best bit: Formulists also automatically provides you with tabs of people that you speak with the most. This is one of the best online networking features I have used so far. There exist a lot of different analytics tools, yet none is so simple and pretty to look at as TwitSprout is. You will get a great overview of the number of retweets, mentions and new followers you have gained in the past. It is all displayed on just one page and helps you detect trends very easily. What I like here is that all your stats are shown in an overlay, so you can make sure that you are growing organically, without neglecting certain metrics. It is also a great way to understand the speed of growth you are taking on Twitter. Best bit: TwitSprout allows you to export all your analytics very easily as a PDF file and use it conveniently in presentations or reports. Tired of clicking through to links and coming back because it wasn’t quite what you were interested in? Parrotfish might just be the right solution for you. 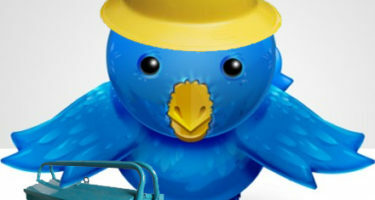 It is a browser extension, that allows you to see a rich-media preview of the post or video right in Twitter.com. I have to say that this has brought me back to using Twitter.com a lot more. It makes the browsing experience a lot more frictionless too. All you have to do is click on the tweet and it brings up the content on the right-hand side for you. Best bit: What I like best here is that the app allows you to save posts to InstaPaper right from Twitter, so you can skip visiting the page entirely. Mentionmapp – Friends of Friends? This is an app that is both fun and also really useful. It works super simple. All you have to do is put a username in and the tool automatically draws a beautiful Mentionmapp for you. It shows you who is talking with you the most together with the number of interactions. To me, this is a fantastic journey through your personal Twitter network, casually suggesting, whom you might should hit up again. You can insert any other username you have in mind to learn about their network more easily too. Best bit: Try clicking on any username linking to you and the network will naturally expand including people outside your network and hashtags. Lastly, I want to introduce an app to you that focuses solely on helping you establish your Twitter network. Commun.it orders your connections into most relevant, influencers and potential leads. It includes a very comprehensive dashboard to engage with these members right inside the app. I like to check into my Commun.it dashboard ever so often to get a feel for which people I should engage more with to keep my network growing. Particularly a recent addition of analytics around your tweets and follower count makes me come back more often. Best bit: What I find most interesting is that the app even monitors mentions of your brand or personal name outside your network right inside your dashboard.